It can be difficult to know what to do after a dog bite in Tennessee. Once you have received medical care, you may naturally wonder what could have been done to prevent the injury—and while you cannot hold the dog accountable, his owner could be liable for the costs of your medical care or time off of work. In Tennessee, the state statute for dog bites involves a mix of strict liability and the more forgiving "one bite" policy. This means that the circumstances of your case play a major role in whether you can pursue a claim against the owner, and offers several defenses to dog owners if you played a part in causing the injury. In a strict liability case, the dog's owner can be held responsible even if he had no knowledge of a dog’s previous behavior or tendency to bite. Since knowledge of a dog’s aggressive tendencies is irrelevant in cases of strict liability, the outcome is typically more predictable than in a “one bite” situation. Although a dog owner cannot claim ignorance of a dog’s prior behavior, there may be other defenses in a strict liability situation. State law protects dog owners from injury claims if the injured person provoked the dog, or if the dog was confined in a kennel or cage when the injury occurred. In addition, the injured person cannot sue a dog owner if he or she was trespassing or committing another infraction when the injury occurred. Many states still rely on “one bite” rule when it comes to dog attack cases. 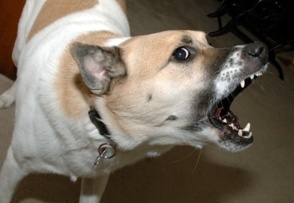 A dog owner could claim that the dog had never bitten anyone before, or had never acted aggressively, essentially allowing the dog “one bite” before the owner could be legally sued. However, the statute does not guarantee a dog the right to bite anyone—it simply states that an owner would need to know that the dog is dangerous in order to be liable for an injury. Tennessee laws allow the “one bite” rule to be used in cases where the owner knew (or should have known) that the dog was likely to bite. The injured person would have to prove that the owner did not take the necessary precautions to prevent the injury from happening, such as allowing the dog to walk without a leash. In these cases, it can be extremely difficult to prove that the owner should have been aware that the dog might bite. Some factors—such as whether a dog had just given birth or had surgery—can make dogs more defensive. However, proving that the owner had a duty to protect others may be negated by the injury victim’s own actions. The injured person was trespassing on a private residential area or farm. The injury occurred on non-commercial property owned by the dog's owner. The injury occurred on property that is rented or leased by the dog owner (or is being similarly used with the property owner’s permission). Allowing both strict liability and "one bite" liability can make it extremely difficult to get compensation in an injury case. In addition, dog injury victims in Tennessee have only one year after the date of the injury to file a lawsuit against the dog owner. After this time, the right to compensation is lost forever. Our legal advisors can listen to your story and move your case forward, allowing you to get the payment you deserve. Contact our legal team today to schedule a free, no-obligation consultation.